Mold is a common problem found in homes across the country. Many people wrongly assume that mold is a concern only for elderly and for those with asthma or other respiratory health concerns, but the truth is that mold is a danger for everyone. Mold can irritate the skin, make you sick, and creates an unsanitary environment in your home. Read on to learn the best way to control mold growth in the home. Mold is a type of fungus. It grows just about anywhere but thrives in wet, moist areas. The basement and the bathroom are two of the most common rooms for mold growth in a home. Mold comes in assorted colors and may appear as white fuzz on the floor, black spores on the shower, or even green clumps building along the baseboards and ceiling. 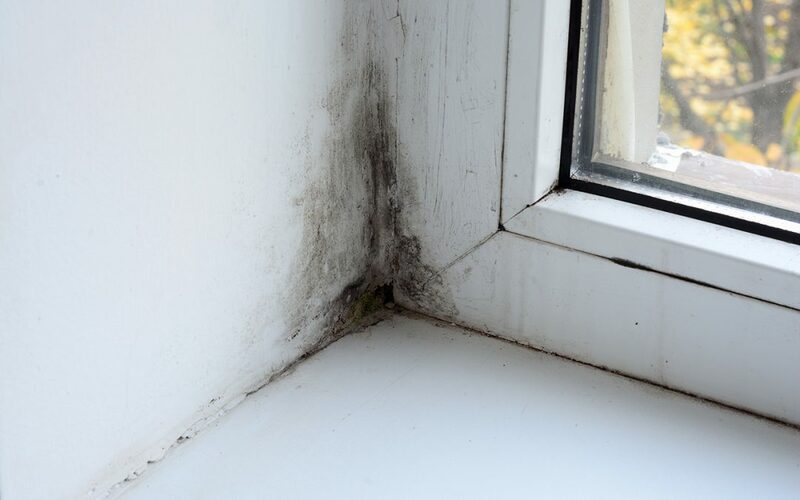 Once a spot of mold lands on a moist surface, it begins to rapidly grow and multiply, creating a significant problem inside of the home fairly quickly. Mold can pop up in almost any location, but it cannot breed without moisture. As such, it is in areas of the home known for dampness and moisture that mold becomes the greatest concern. The bathroom and the basement are two of the most susceptible rooms in the house. Use a dehumidifier if you reside in a hot, humid location. Run the air conditioner on hot days. Use a hygrometer to measure humidity levels inside the home. Aim for a humidity level under 60%. Don’t let the house get cold during the winter! Keep the temperatures inside the house set at a temperature no less than 68 degrees F.
Keep an eye out for leaking pipes, toilets, sinks, etc. and repair the problems quickly. Remove condensation/water build-up from the HVAC condenser unit as necessary. In addition to utilizing the above techniques to keep mold at bay, consider hiring a professional mold inspector. If a mold problem is discovered, a mold remediation professional can mitigate the mold infestation. Mold may lurk underneath the surface of the walls or floors, where it is invisible to the eye. Professionals can advise about a treatment solution if mold is discovered growing in your home. Take action once a mold discovery is made to control mold growth in the home. Prolonging the problem only allows the mold to continue to grow and cause damage to your home in the process. Coast to Coast Property Inspections serves Southeast Florida with home inspection services including mold inspections. If you suspect a mold issue in your home or need other home inspection services, contact us to book an appointment.